Warning: Spoilers for Season 2, Episode 6 of American Gods, “Donar The Great”. 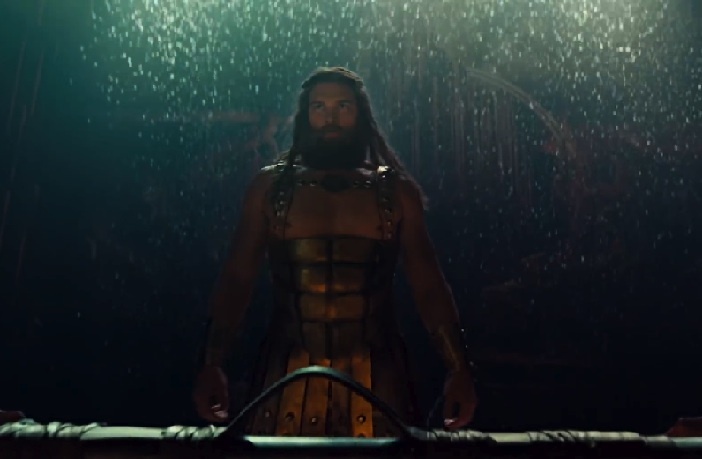 The latest incarnation of Asgardian legend Thor just hit screens thanks to Derek Theler (Baby Daddy), who joined American Gods as the beefy god of thunder and lightning for a very special flashback episode, “Donar The Great”. We have a chance to chat with Derek about playing Donar (Thor’s Old Germanic name used on the show.) Unfortunately due to a recording issue, we don’t have many full quotes– I promise that as much as this pains you, it pains me more– but here’s a look at Derek’s experience on the show. Theler’s journey on to American Gods started out like many other Hollywood stories: With an audition notice. “I was in the middle of a two-week vacation in Italy and a begged them to let me audition when I got back,” Theler said. He was a huge fan of Season 1 of the show as well as Neil Gaiman’s novel and desperately wanted to be involved. Thankfully, he got the part. Theler said he wasn’t really intimidated by the idea for taking on a character with such a huge cultural footprint– he was more excited to add something new to his story. “Donar the Great” is a story of a (very powerful) father and son, Odin and Thor aka Wednesday and Donar. While Theler did study the mythology, his real surge of knowledge came from working with American Gods lead Ian McShane (Mr. Wednesday), who is an amazing talent. In the episode, we first see Donar flexing his muscles and Mjolnir in a burlesque show, where the god sustained his praise. “I think that was my favorite part,” the actor told us. He loved the costumes and the spectacle, but more than that, he was dedicated to getting the look and feel just right. He offered to do any extra tasks they needed and even to stay late just to make sure Donar’s strengths were on full display. Donar’s ambitions grow pretty morally ambiguous when he aligns himself with the American Nazi party to compete in the worldwide weightlifting tournament. It’s messy for sure, but Theler says Donar is “an old and wise god” who “probably doesn’t even recognize the nuance of working with Nazis” because the recognition is strengthening him more everyday and really, he’s in it for himself. That’s why he’s so devastated when he’s told to throw the final match against the German contestant– It undermines his power and glory as an ancient legendary being. Did Donar make the right choice in leaving Wednesday? Well, Theler wasn’t quite sure. There was clearly a lot of pride involved on both ends. Mostly, the actor was just disappointed the see how Donar’s story ended because he’d love the opportunity to return to the show. 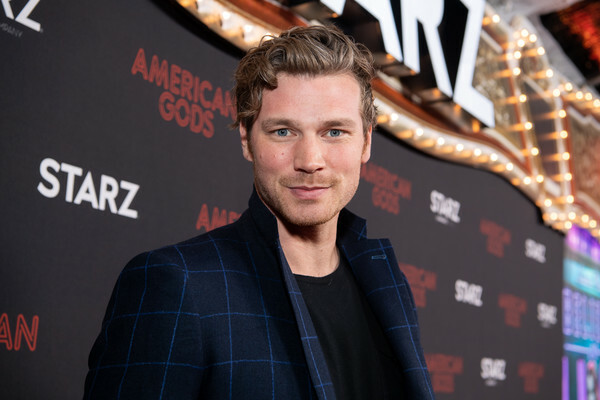 Overall, Derek Theler has nothing but praise to give to the American Gods production, from his fellow actors to the many behind-the-scenes departments covering sets, makeup, costume, hair, stunts, and more. American Gods airs Sundays on Starz. Watch “Donar The Great” now via the Starz app or On Demand if your cable subscription includes the network.